This classic Land Cruiser is going to a Toyota aficionado and collector of vintage 4x4s. 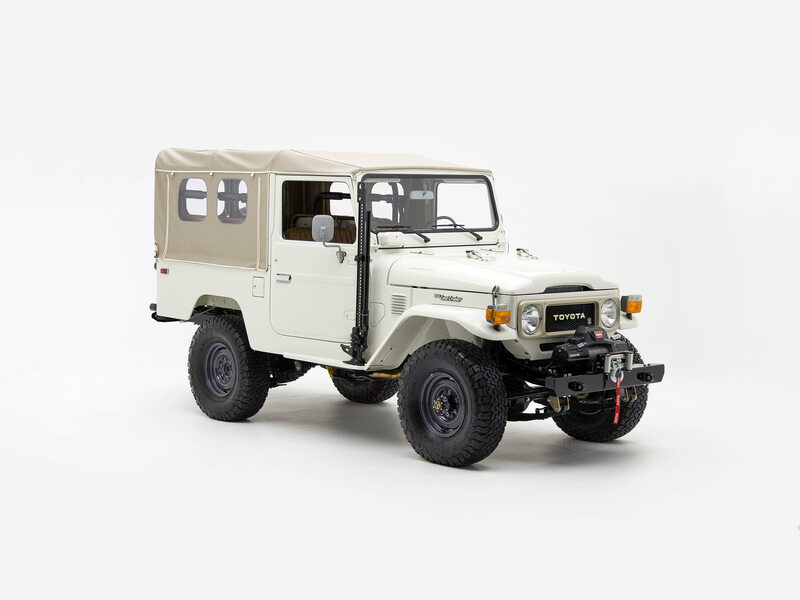 Custom-built to our client’s specifications and equipped with an upgraded engine and modern running gear, this FJ43 is destined to become that go-to classic ride our client will want to drive every day. The FJ43 is already a design legend. Those bold fenders! That classic grille! ...all signs of an icon. Its cool white exterior and heritage looks are complemented by heavy-duty tires and custom off-road accessories. Inside this FJ43, classic details mingle with modern technology for a trip down memory lane that’s comfortable, and set to your favorite soundtrack. Your favorite go-to classic ride upped its game with a 1GR-FE engine and other modern upgrades. Build your own G40 Expedition today!